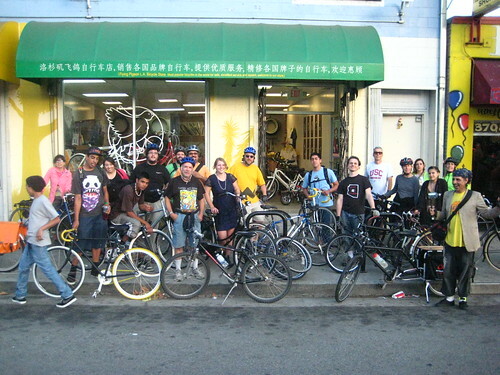 On Friday, June 17, 2011 the Flying Pigeon LA bike shop will host bike ride and party to benefit LA Streetsblog – the go-to source for livable streets news in Los Angeles. The ride leaves at 6:30pm for a tour of bike history in North East Los Angeles. The party (featuring food, drinks, and some short film) starts at around 8pm. $10 to join us on the ride and another $10 to get into the after-party. $15 up front will get you into both! Of course, everything is on a sliding scale and nobody will be turned away. To RSVP, visit our Facebook page for the event.